First up, the Kia Picanto. It’s worth a mention that this car is great for buyers looking for a capable and affordable car. 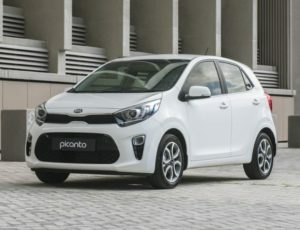 What’s new is that it now offers more choice than the original Picanto that launched in July of 2017. The brand’s familiar 4-speed automatic transmission on the range-topping Picanto 1.2 Smart derivative was previously only offered with a 5-speed manual transmission and is now an option when you customise you own Picanto 1.2 Smart. It’s powered by a naturally-aspirated 1.25-litre petrol engine with 61 kW and 122 Nm of torque. It includes two-tone leather upholstery, electric windows and side mirrors, 15-inch alloy wheels, 7-inch touchscreen with Bluetooth functionality and Apple CarPlay, and rear park assist with a reverse camera. The new XC40 is a compact SUV/family car with a beautiful and intuitive interior. While smaller than the previous XC60 and 90-Series cars, it makes up with its powerful engine. It powers up with T5 2.0-litre turbopetrol with 185 kW and 350 Nm of torque and a D4 2.0-litre turbodiesel with 140 kW and 400 Nm of torque. The power delivery suits the SUV driving style and fuel consumption remains excellent (5.2L/100 km). Not only that, but it also picks up from pull away and rolling stops quicker than the petrol, making it a more user-friendly engine. 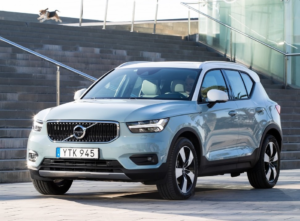 The XC40 is equipped with all-wheel-drive and an 8-speed automatic transmission. Some of the neat little gizmos to look forward to include the wireless charging cradle and an adjustable floorboard that lifts up and hooks into place to create a tight storage space for shopping bags. Enter the 5-speed automatic derivative of the Fiat Fullback. If you’re someone that expects your wheels to work and play just as hard as you do, take note! This 2.4- litre turbodiesel is versatile and reliable, and offers a new turbodiesel-powered single-cab workhorse offering. Available in both single and double-cab guises: the single cab 4×2 guise is powered by either a 2.4-litre petrol engine offering 97 kW and 202 Nm of torque or a 2.5-litre turbodiesel with peak outputs of 100 kW and 324 N.m. 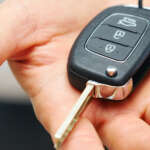 These derivatives feature a 5-speed manual transmission that powers the bakkies’ rear wheels. The double cab comprises one 4×2 and two 4×4 derivatives. The 4×2 SX version features the same powerplant as the aforementioned single-cab turbodiesel, whereas the 4×4 LX has higher outputs of 131 kW and 400 Nm respectively. Both are equipped with a 5-speed manual transmission. If the rugged look of this bakkie isn’t enough, beef it up with nudge bars, side steps, rear sports bars and rear bumpers. Did you miss our 2018 most anticipated car blog? Have a look here. Be sure to follow us on social media for more industry releases, news and tips.